A $600 NON-REFUNDABLE DEPOSIT IS REQUIRED TO HOLD A SEAT IN CLASS. 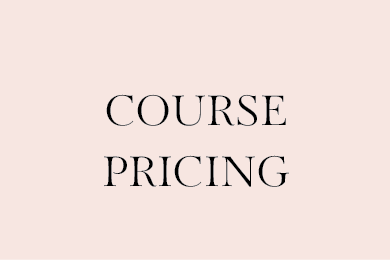 THIS DEPOSIT IS TRANSFERABLE TO FUTURE COURSES. 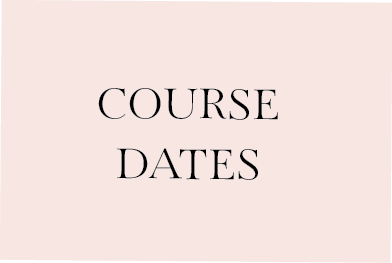 THE GROUP COURSE IS DESIGNED FOR STUDENTS THAT HAVE LITTLE TO NO PRIOR LASH EXTENSION TRAINING. EYELASH EXTENSIONS ARE ONE OF THE FASTEST GROWING SEGMENTS OF THE BEAUTY INDUSTRY AND EVERYONE WANTS A PIECE OF IT. LASHING IS CURRENTLY TRENDING AS ONE THE MOST LUCRATIVE FIELDS WITH CLIENT RETENTION AT AN ALL TIME HIGH. UNFORTUNATELY, THE LASH INDUSTRY'S REPUTATION IS SUFFERING DUE TO INADEQUATELY TRAINED TECHNICIANS. WHAT IS THE MISSION OF BOSTON LASH ACADEMY? WE STRIVE TO TRANSFORM THE INDUSTRY BY BUILDING A FOUNDATION OF EDUCATION AND AWARENESS THAT ALLOWS STUDENTS THE HIGHEST STANDARD OF KNOWLEDGE, TECHNIQUE, AND PROFESSIONALISM. WE HAVE A COMMITMENT TO THE INDUSTRY TO SHARE KNOWLEDGE WITH ALL THAT HAVE A DESIRE TO LEARN. OUR MISSION IS TO PREPARE STUDENTS TO BE THE BEST LASH TECHNICIAN THAT THEY CAN BE. WHAT SETS BOSTON LASH ACADEMY APART? OUR UNIQUE APPROACH TO TRAINING IS NOT FOUND AT OTHER LASH EXTENSION SCHOOLS. MOST SCHOOLS OFFER A TWO DAY "CRASH COURSE". OUR CLASSES ARE HELD FOR THREE CONSECUTIVE SUNDAYS. THIS GIVES THE STUDENTS AMPLE TIME TO PRACTICE, COME BACK TO THE CLASSROOM, HONE THEIR SKILLS AND BE CORRECTED AND CRITIQUED BY A KNOWLEDGEABLE INSTRUCTOR, THUS INCREASING THE STUDENTS SUCCESS. OUR CURRICULUM IS JAM PACKED WITH KNOWLEDGE THAT WILL SET BOSTON LASH ACADEMY STUDENTS APART FROM OTHER LASH TECHNICIANS. LOOKING TO SIGN UP FOR THE NEXT COURSE OR JUST HAVE SOME QUESTIONS? PLEASE SUBMIT THE FORM BELOW AND BOSTON LASH ACADEMY WILL GET BACK TO YOU AS SOON AS POSSIBLE. Thank you for your interest in Boston Lash Academy.. You will receive an email response as soon as possible.